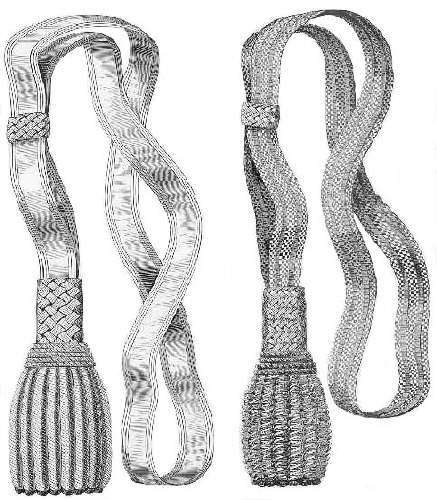 The sword knot served both a decorative and practical function. The purpose of a sword knot was to keep the sword from being totally knocked away from a mounted soldier. Enlisted men's saber knots were made of black leather. MORE: Photograph of Sword Knot in use.